Hepatitis C virus (HCV) remains a major public health concern. HCV, the most common blood borne infection in the US, is estimated to affect over 4 million Americans (about 1-2% of the population). Worldwide, over 170 million people are infected. Most Americans with HCV infection acquired it in the 1970s and 1980s, before the virus was identified. Although the rate of new infections declined between 1989-2011, there has been a recent increase in new infections since 2013. Unfortunately, there is no effective HCV vaccine at this time. The majority of people with acute HCV infection develop chronic infection; only 15-25% clear the infection spontaneously. Most individuals with chronic HCV infection are asymptomatic; some may experience nonspecific symptoms such as fatigue. Among those who were infected 10-30 years ago, about 50% remain undiagnosed. Consequently, a high percentage of infected people are unaware that they have HCV, can transmit it to others, and do not seek medical help or treatment. Describe the prevalence and general course of HCV disease, risk factors, and factors that may worsen HCV disease. Outline general antiviral treatment considerations, including social factors, HCV genotype, disease severity, and coexisting medical conditions. Describe the DAA regimens for HCV genotypes 1, 2, and 3, including dosing, duration, indications, contraindications, and potential drug-drug interactions. List common side effects of DAA agents and management strategies. 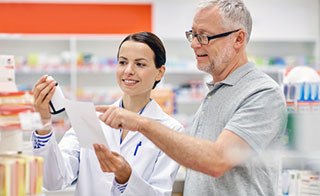 Counsel patients on the importance of adherence. Brief Bio : Associate Clinical Professor of Pharmacy, School of Pharmacy, University of California, San Francisco; Adjunct Faculty, School of Pharmacy, University of the Pacific, Stockton, CA; and Clinical Pharmacy Specialist, Department of Veterans Affairs Medical Center, San Francisco; National Hepatitis C Resource Center, Department of Veterans Affairs. Copyright © 2019 The Rx Consultant. All Rights Reserved.